Kevin Kisner tweeted this photo of Patrick Reed's parking sapce at the BMW Championship. Patrick Reed took a whole lot of heat last week for complaining about free Red Sox tickets he received from the PGA Tour. Fellow pro Kevin Kisner isn't about to let it go. 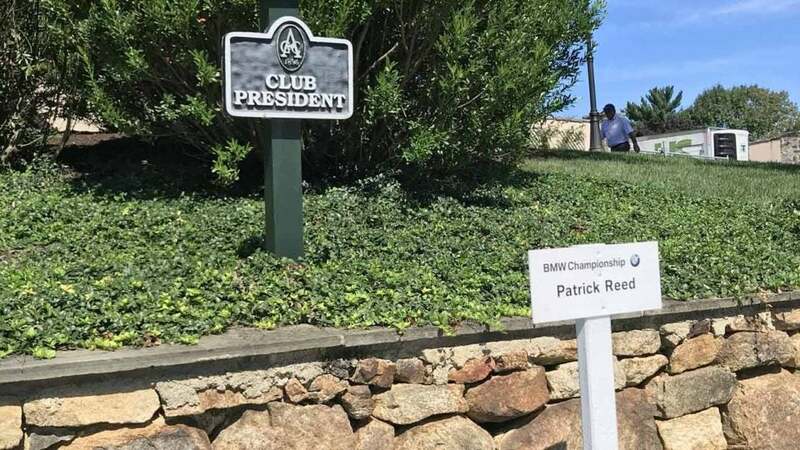 On Tuesday, Kisner tweeted a photo of what appears to be Patrick Reed's parking spot for this week's BMW Championship. If the photo isn't faked, it seems Reed will be enjoying the club president's coveted space in the parking lot at Aronimink. Last week, Reed complained that the free Boston Red Sox tickets the Tour gave him were located in the "line drive section." He suggested other pros were given better seats, and that he had to pay $650 to upgrade his own to join the other Tour stars. The comments did not go over well with golf fans and other pros, who in turn ribbed Reed relentlessly. Kisner poked fun at the incident in his tweet, suggesting the Tour was making up their alleged slight with Reed's parking space, "After the baseball ticket issue last week, I guess the @PGATOUR stepped up your parking spot this week @PReedGolf." https://twitter.com/K_Kisner/status/1036994630196383745 Sure, it could be a coincidence. Or it's an incredible troll job by an employee at the PGA Tour. If the latter is true, well played.